The radio loggers monitor temperature and humidity to help ensure that pharmaceuticals in storage are kept in the correct conditions, according to the requirements of European Good Distribution Practice (GDP). 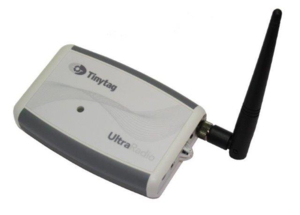 The system, comprising Tinytag Ultra Radio data loggers, was supplied by our Spanish Distributor Berman Termómetros e Instrumentación to a large pharmaceutical wholesaler. The company purchases high volumes of pharmaceuticals directly from the manufacturers, for distribution to chemists and other outlets. Products are stored in the warehouse prior to despatch, and temperature monitoring is essential: for example, products include vaccines, and medicine for Diabetes, which must be kept at a temperature range of between +2 and +8°C. The company had already been using Tinytag outdoor/industrial radio loggers with external probes to log temperatures in fridges. A need then arose to record temperature and humidity in an area of the warehouse without refrigeration, according to European GDP, and the company wanted to incorporate this into the existing monitoring system. The loggers had to be placed at height in the warehouse, so an automatic system able to send data wirelessly using mains power was required, in order to avoid the difficulties of replacing batteries in inaccessible areas. The system also had to include an e-mail alarm service, and the Ultra Radio loggers proved very cost-effective in meeting all the customer's requirements.